LINDA WIKEN: I admit that I'm a food blogger junky! And I doubt there's a 12-step for that, although I really don't want one. Half my incoming email is from food blogs or digests I follow and I always look forward t to reading through them. It's hard to choose one to share but I thought, maybe not too many foodies have heard of this one. It's Word of Mouth with Leiti Hsu. Each day I find a short and interesting blog awaits me. It starts with the Today's Word, followed by a variety of photos of the same dish from different parts of the world. It then cites a short story of food interest, possibly some links, and finishes off with a recipe. Try it, you'll like it. Just google Word of Mouth. So are you a food blog lover -- admit it? What's your favorite go-to? I'd love to add some more to my list. 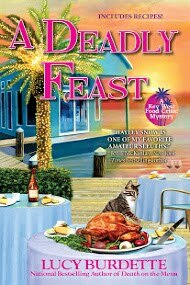 LUCY BURDETTE: I love food bloggers too, Linda, though I try not to get too many coming to my poor cluttered inbox. Hands down my favorite is David Lebovitz. He's an American living in Paris (former pastry chef at Chez Panisse) and an author of cookbooks and memoir, most recently L'Appart, the delights and disasters of making my Paris home. He posts about French food, customs, restaurants, and lots of recipes. If you are a Francophile, don't miss this one. In fact I'm just back from a tour arranged by him and it was food heaven. Think wine, cheese, chocolate, fois gras...oh my... That will be a post for another day! Click here to learn more or buy. NPR's Food for Thought blog covers food news that you likely won't hear anywhere else. Another blog I enjoy (the food nerd in me) focuses on the science of food, aptly titled sciencemeetsfood.org. The food universe is wide open, and I always find it a fun and fascinating way to explore our great big beautiful world. LESLIE BUDEWITZ: Oh, Lucy! You went on a food tour of Paris with David Lebovitz? I am so envious! I'm glad Cleo mentioned NPR. My next Spice Shop book touches on the role of immigrants in the food business, and I've learned so much from the stories NPR has told about immigrants and food, and about sexism and harassment in the restaurant business. The NY Times "What to Cook This Week" blog is a great mix of standards and trends; happily, many recipes are available without a subscription. I'm also a big fan of Williams-Sonoma Taste; recipes come from both WS books and other cookbooks, so there's variety, along with seasonality, taste, and recipes an actual person with a real life can make for dinner. Score! SHEILA CONNOLLY: I have a confession to make: I don't read food blogs, except for MLK (I read that every day!). It's not that I don't love food, and I'm always looking for new recipes, but there just isn't enough time in the day to read a lot of blogs, after I've checked out the ones I'm part of plus a few where friends are regulars. I do read the food sections in the Boston Globe and the New York Times (Sundays only), which have provided not only great cooking ideas but good models for writing about food. I collect cookbooks, old and new, and save clippings from the past. For years I subscribed to Gourmet and Bon Appetit (and I still have a few treasured copies). I've been known to try to duplicate memorable recipes I've eaten in restaurants in a variety of countries. But, alas, very few food blogs. 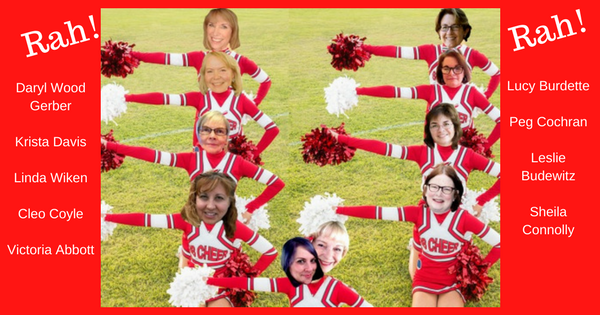 DENISE SWANSON: Like Sheila, I don't read a lot of blogs. Once I check in at MLK and a few of my friends, I've run out of time. One that I do occasionally read is A Couple Cooks. I like this blog because it ticks off a lot of boxes on my list. It is healthy food, gives me ideas for my Meatless Monday plan, and has a married couple who cook together, which is what my husband and I like to do. KRISTA DAVIS: Honestly, I don't have a lot of time to read blogs these days, but I do subscribe to TastingTable.com, which features an assortment of articles each day. As the name implies, it's about food but the articles range from taste testing olive oils or butters, to intriguing recipes, to fascinating people in the food field. And I love Kim Davis's CinnamonSugarandaLittleBitofMurder.com. Kim tries tries out recipes that are in mysteries. She can make anything look absolutely beautiful! 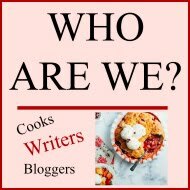 PEG: Is there a difference between a food blog and a recipe blog? I tend to follow Skinnytaste.com (although I don't ever seem to get skinnier!) The recipes aren't really "diet" per se--rather recipes lightened up a bit. You still have to watch your portions. For instance, if the traditional recipe calls for a stick of butter, the recipe will be toned down so that you only use two tablespoons. DARYL: I don't read a lot of food blogs with regularity, but I love Cinnamon, Sugar, and a little bit of Murder. 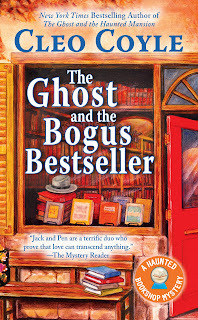 Kim makes great recipes using those found in authors' books. Love it! How about you? Do you have a favorite food blog? 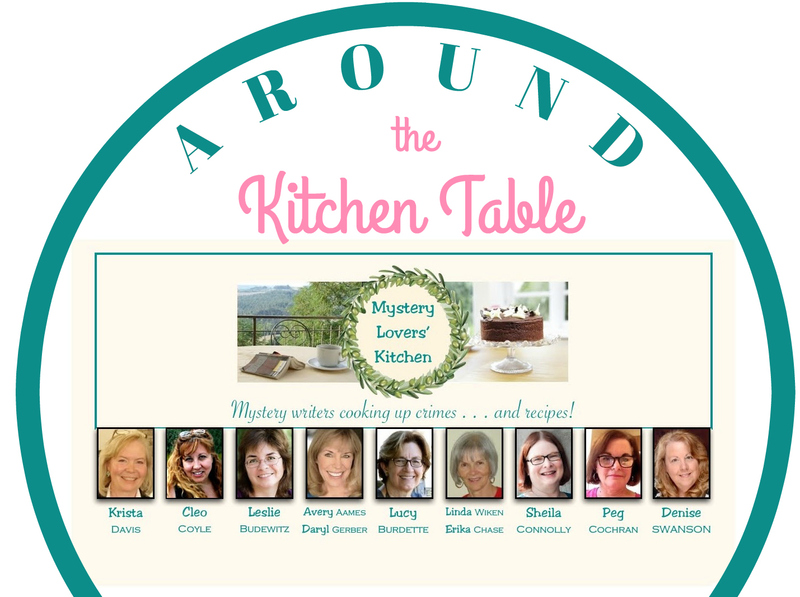 Of course Mystery Lovers' Kitchen is a daily stop for me! 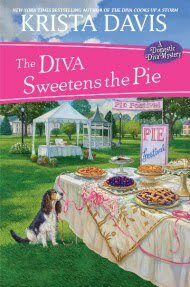 I love reading about new mysteries with recipes. I also like Christina's Cucina and I've got David Lebowitz's blog on my list to read. I subscribe to Vegantastic, Low Carb Yum, and Essentially England (great blog with travel stories & recipes from England ). MLK is the only food blog I read. I do read the food section of our newspaper. And all the food articles in Southern Living. Oh, Krista, glad you mentioned Kim Davis's Cinnamon & Sugar blog. It's such a treat to see her recreate our own recipes -- she's even done video how-to's of a few! There are a lot of them out there. One that I stumbled upon some time back entertains me. It is called Lady and Pups. The recipes are often Asian with a twist and not traditional. Good stuff! 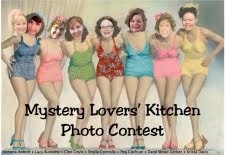 Mystery Lovers' Kitchen, of course! I get newsletters from Kitchn and The Stay at Home Chef and follow some sites on FB, but I am a simple cook liking to improvise as I go along. I love the recipes here because there is always a fun story to go with it, detailed instruction, and great pictures, even of the failures! I get Kitchn too and enjoy it! MLK is my go-to. 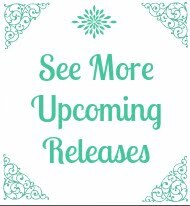 And then I have some favorites from your Blogs We Love list. 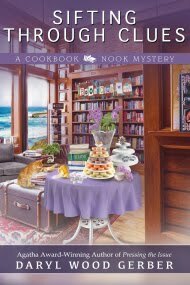 Of course Mystery Lovers Kitchen is a food blog I read. But to say there is actually a food blog that I intentionally go to often to read -- well, I can't think of one. Usually the food / recipes I go check out are first mentioned in my fb feed- usually by an author, or by a friend. MLK I go to most days just on my own. Oh, and the Cinnamon & Sugar one is also one I visit frequently. 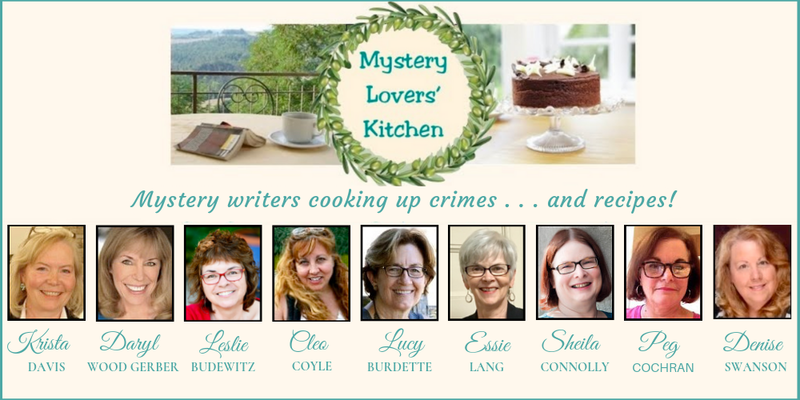 Mystery Lovers' Kitchen - read it every day. This one, of course. I also like NY Times Cooking & Kitchn. I love food blogs! I don't usually remember to look at them regularly but I like one called My Bizzy Kitchen. 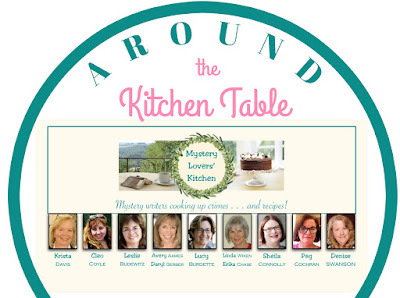 I make it a point of checking Mystery Lovers' Kitchen and Cinnamon and Sugar blogs. I like to see the recipes that the authors post. This one, Cinnamon & Sugar, Simply Stacie has some great recipes. There are others but those are my favs.